Olivia began her career as a novelist with Bantam Books in 1989 and published 17 titles under her real name and also the pen name Mallory Rush at Harlequin. Her books regularly appeared on mass market romance bestseller lists and credits include the Romantic Times Career Achievement Award. After an extended stint as a columnist for NINK, the official newsletter of the international authors organization Novelists, Inc., she accepted the position of Editor and served on the Board of Directors. As co-author of Zig-Zagging: Loving Madly, Losing Badly, How Ziggy Saved My Life with Ziggy cartoonist Tom Wilson (HCI Books), Olivia found a real love for memoir collaboration, which remains an area of special interest. 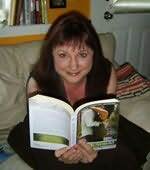 In 2009 she was tapped to assist HCI Books Editorial Director Michele Matrisciani in developing the first Reality-Based Romance series, True Vows, launched in 2010. The publishing industry has generously afforded Olivia other opportunities to expand her credentials, including project management as a ghostwriter, book doctor, copywriter, and developmental editor.